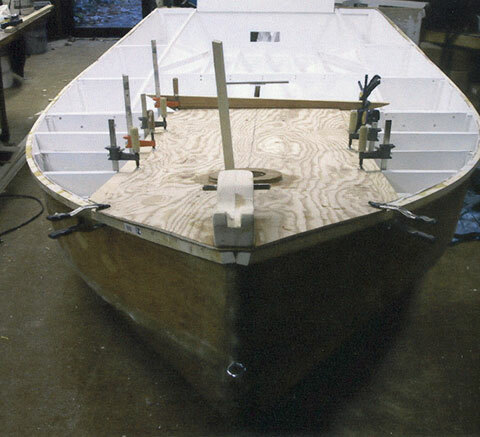 EL GATO is a 12'6" Phil Bolger designed catboat built by Ross Mason between May 2002 and October 2003. Ross launched EL GATO on November 25, 2003. 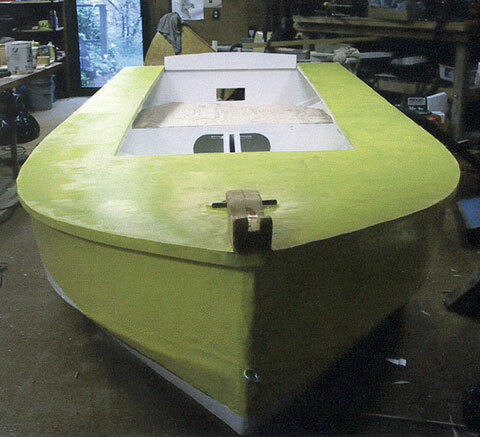 He used 1/4" plywood covered with epoxy resin and fiberglass cloth. He built the hollow 16' mast from 8 staves as described in WB issue XXXX. His sail is a Sailrite kit. 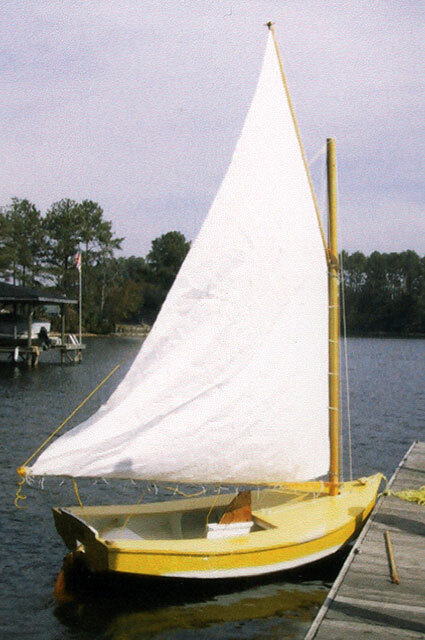 Ross sails on the lakes of central Alabama, and Biloxi Bay, MS. Email Ross at rossmason@shelbysys.com.